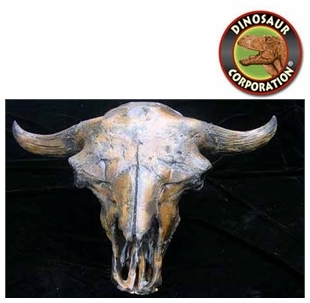 Bison antiquus skull. Original Page Museum specimen, California. Bison antiquus, sometimes called the "ancient bison", was the most common large herbivore of the North American continent for over 10,000 years, and is a direct ancestor of the living American bison.